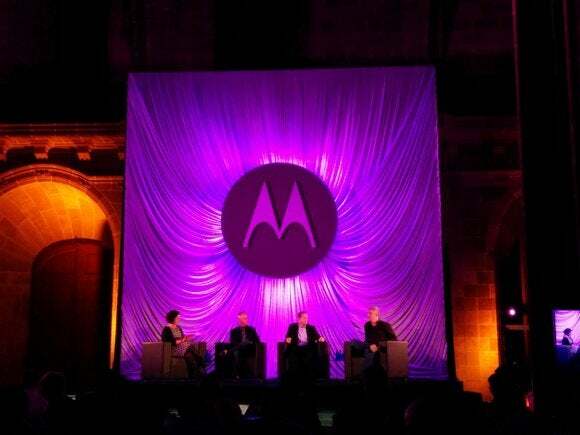 Motorola Mobility is hoping to build on the success of the Moto G with another affordable smartphone. But the new Moto E will face even greater competition in a segment, that thanks to increased competition between processor manufacturers, is turning into a hornets’ nest. About six months ago, Motorola launched the Moto G, a device that redefined how much smartphone you can get for less than US$200 without a contract. Since then the company has been acquired from Google for $2.9 billion by Lenovo in a deal that’s still pending, but hasn’t offered much in the way of new products. That will change on Tuesday when Motorola takes the covers off a smartphone that’s been “priced for all” at events in London and New Dehli. The tagline and the choice of New Dehli as a launch location makes it obvious that Motorola will launch another cheap smartphone. The Moto E is expected to have a 4.3-inch screen, a dual-core processor, a 5-megapixel camera and 4GB of integrated storage, which should result in a price tag under $150 without a contract. The Kestrel, which was developed by Huawei for British operator EE, has more storage, a quad-core processor and LTE. It costs £99 (US$160) without a contract. Motorola is one in a growing line of vendors that are focusing more resources on affordable smartphones. Samsung recently said it would develop more low-end phones, while Microsoft is working with Chinese and Indian vendors on cheaper Windows Phones, and Mozilla is developing a $25 smartphone running Firefox OS with chip maker Spreadtrum. “The high-end is already saturated, but everybody is conscious there are opportunities to bring the next billion of consumers to the smartphone market,” Saadi said. It isn’t just about selling the hardware—equally important are the services that run on top of the smartphones. Irrespective of the efforts of competing OSes, Android looks set to dominate the high-growth developing markets and increase its market share. Basic mobile phones lost 5 percentage points in market share during the first quarter and Android picked up almost all of the users moving to higher-end phones, suggesting the OS is set to gain almost all of the mobile subscribers still upgrading to smartphones, according to research firm ABI. The one thing more Web-oriented OSes like Firefox OS and Tizen have going for them when competing with Android is an architecture that demands less of the hardware they are running on, which allows manufacturers to build cheaper products, according to Saadi. But on smartphones that cost above $50, Android is the best choice, he said. On Sunday, the Wall Street Journal reported that Samsung is eyeing Russia and, just like Motorola, India as launchpads for its first Tizen phone. The timing of these developments isn’t a coincidence. Qualcomm’s dominant position in the high end of the smartphone market forced competing chip makers to concentrate on the low end of the market, where smartphone manufacturers aren’t as wedded to the idea of using Qualcomm’s components. That and the emergence of so-called reference designs have changed the smartphone market at its core, according to Saadi. Reference design programs provide a one-stop shop that includes the tools and resources device manufacturers need to quickly and cheaply put out devices. “Programs from Qualcomm, MediaTek and Spreadtrum have helped lower the cost of developing a smartphone by something like a third. The collapse of smartphone pricing in the affordable segment has mainly been driven by this development,” Saadi said.